This famous American kid was born in 1858 and went on to great things. He is still regarded as totally awesome, and one of the coolest, toughest Americans ever. If you can't get it by tonight, I will post another photo of him, a bit older, and looking much tougher. 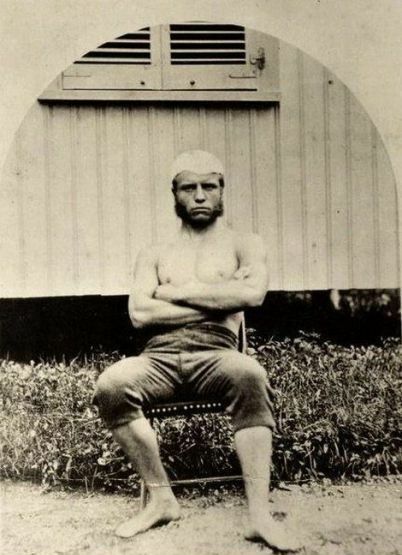 Update: This mean looking dude is none other than Teddy Roosevelt, 26th President of the United States. As usual, Althea got it in about 4 seconds.